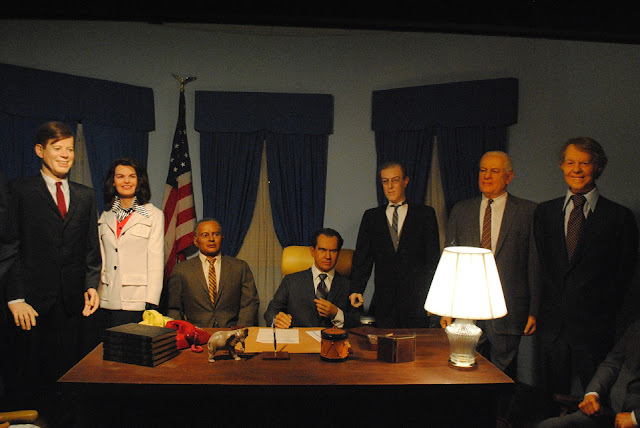 In honor of the eminent presidential election I decided it would be a good idea to take a look at some of the replicas of presidents I have found traveling through wax museums. 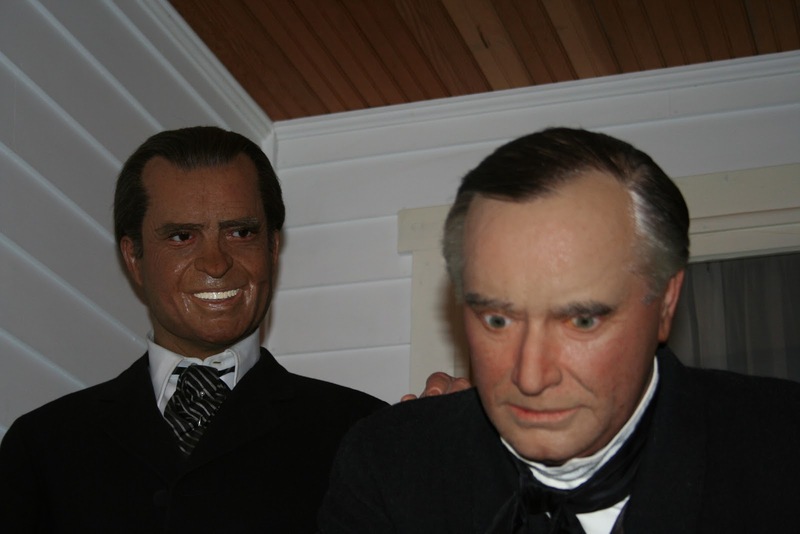 For some reason presidents have a tendency to look horrifying when rendered in wax. I have gone through the trouble of ranking the top most disturbing presidential specimens. 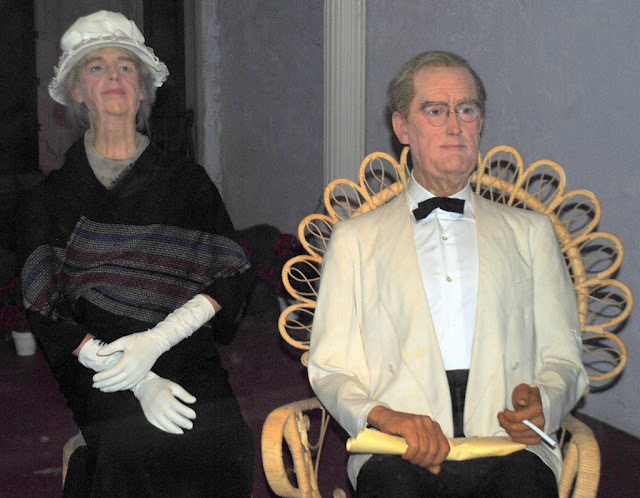 These figures are from the now defunct Mammoth Cave Wax Museum in Cave City, KY. FDR looks rough and his hands are alot darker then his face. While FDR looks a little off, Eleanor is particularly scary. Her neck his freakishly long, and she kinda looks like a dead body. Found at the Natural Bridge Wax Museum in Natural Bridge, VA. 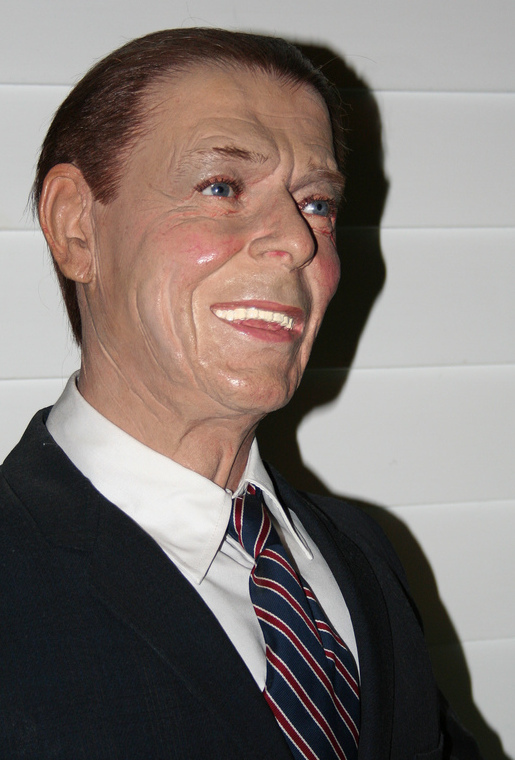 The main problem is that this looks nothing like Ronald Reagan. The hair is particularly odd, slicked back and thin. His legendary pompadour replaced with weird thin slicked back hair. Looks like Reagan re-imagined as an elderly woman. Here is another scene from the Natural Bridge Wax Museum. Andrew Jackson looks to be clinically depressed and possibly carved from wood. The most interesting thing is that it appears that he is moments away from be strangled to death by Will Rogers. And what is up with Rogers' eyeball? It looks like its about to pop out of his head. 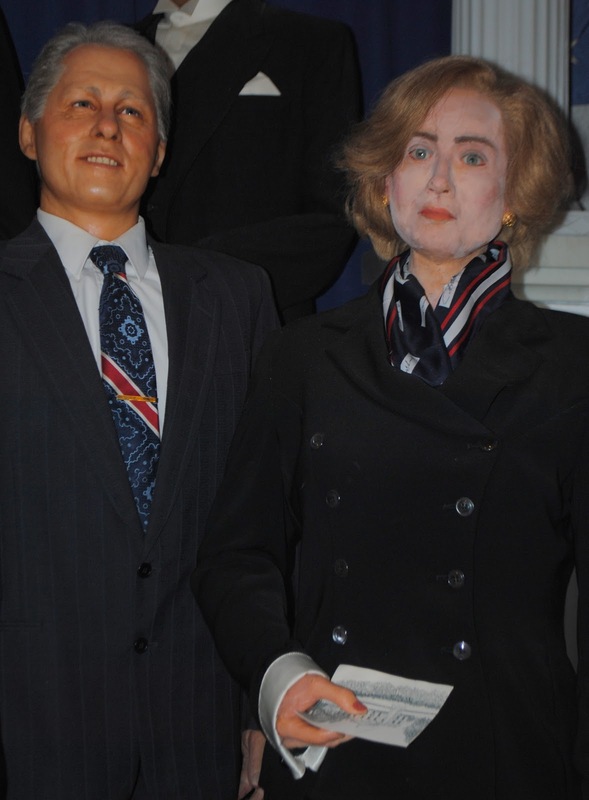 My apologize go out to the Natural Bridge Wax Museum, but you guys are great at making some scary presidents. 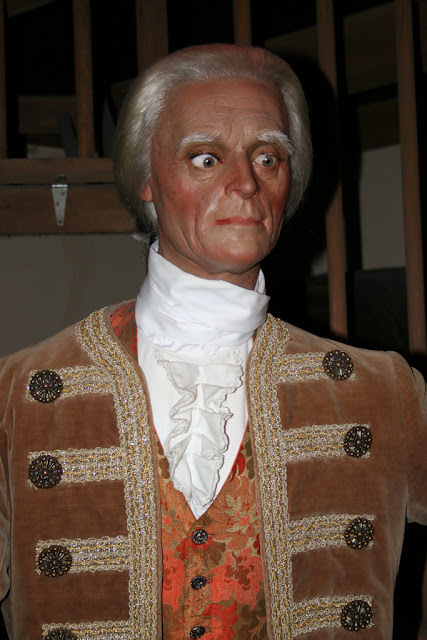 Here Thomas Jefferson cuts to your soul with his evil gaze. Here McKinley looks to be choking to death or possibly just shot by an anarchist. Either way, Nixon appears to be finding the situation very funny. Also, it appears that Nixon was our first African American President. This is at the Natural Bridge Wax Museum, of Course. Much like Roosevelt's figures, the first lady seems to have gotten the worst of things. Bill looks like he is a cross eyed moron. Hillary appears to be wearing a mask made of human skin. 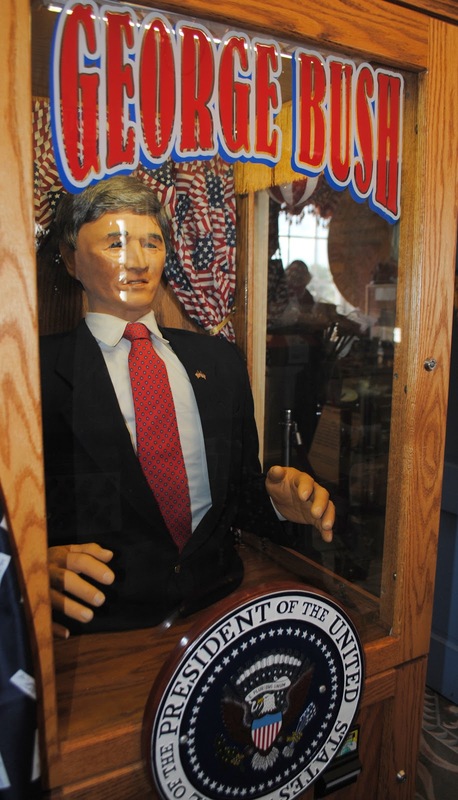 Located at the President's Hall of Fame in Clermont, FL. 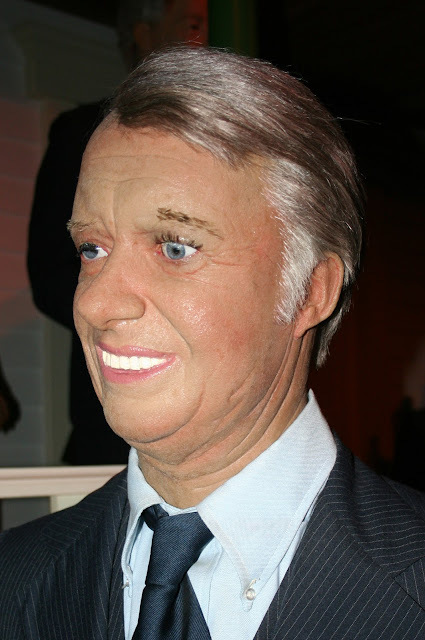 We head back to the Natural Bridge Wax Museum one more time to look at this poor poor Jimmy Carter. Jimmy looks to be having a stroke or possibly had his face beaten in. Actually I probably wouldn't know this was Jimmy Carter unless I had read the sign. Poor poor Jimmy. 8. 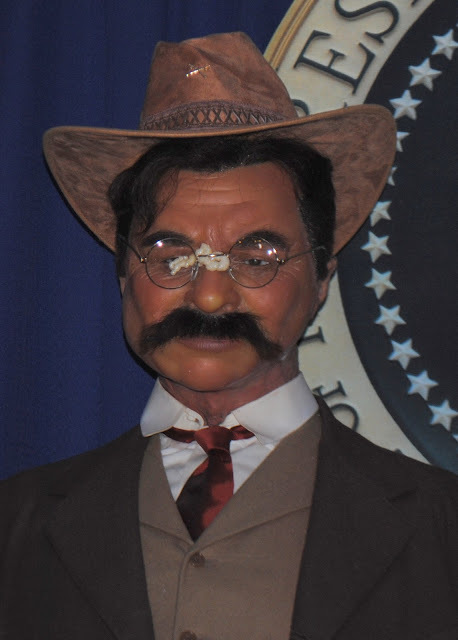 Teddy Roosevelt with Something on His Face. Found at the President's Hall of Fame. Roosevelt may be our most badass president, but in this likeness he appears to be oozing some strange substance from the center of his face. Also, his hat looks kinda dumb. Also at the President's Hall of Fame. This is obviously a very bad likeness of W, but also very confusing in the fact that he gives you your fortune. Found at Potter's Wax Museum in St. Augustine, FL. Now Lincoln was murdered a century and a half ago, but this figure still makes me say "Too soon". 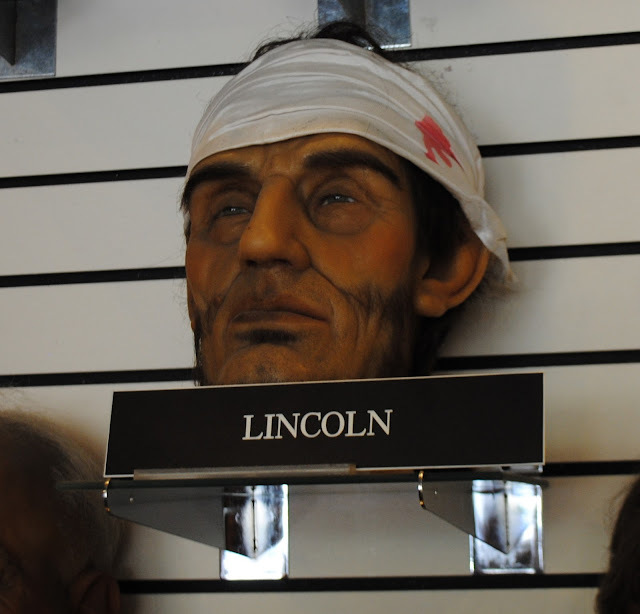 As if showing a national hero with a gunshot wound to the head wasn't creepy enough, they severed his head as well. And that concludes our list. 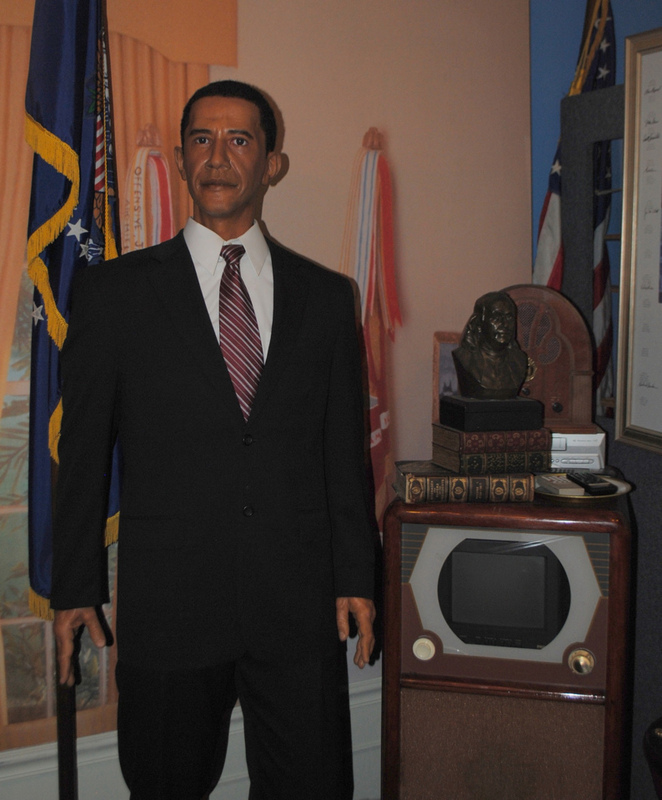 I have found a Wax version of Obama (President's Hall of Fame), but its actually a very good likeness. 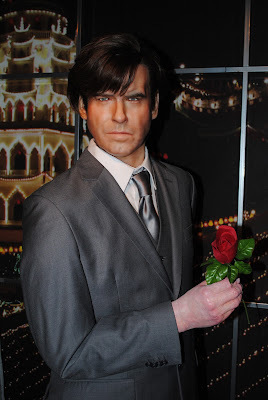 In all fairness I wanted to post a picture of a wax Mitt Romney, but I don't think one exists. This will have to do for now. 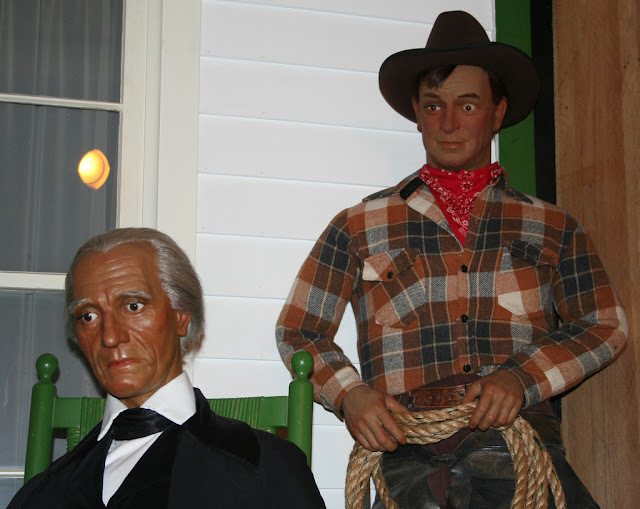 For more creepy fake people check out my article on Uncanny Valley.